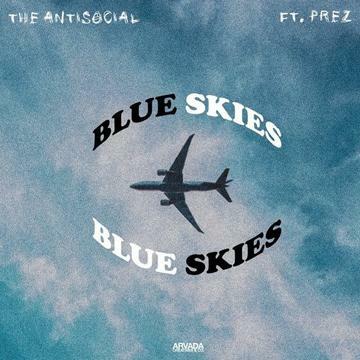 Listen to The Antisocial and Prez team up on "Blue Skies." Maryland's The Antisocial makes a good first impression on "Blue Skies," rapping multi-syllabic rhymes over a propulsive, vintage sample-driven beat. As technically impressive as his performance is, it doesn't compromise the emotion or texture in his voice, making him a thrilling vocalist from the first bar. Meanwhile, Prez contrasts his delivery with a casually stylish delivery, picking up where he left off and rendering a hook unnecessary. It's a dynamic we'd like to hear more of. You can listen to more music from The Antisocial on his official SoundCloud account. Let us know what you think of him in the comments below.